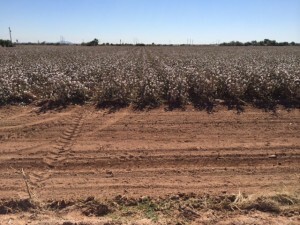 This week, ProPublica unveiled its 5-part series on “the truth behind the water crisis in the West,” beginning with this story on Arizona cotton. 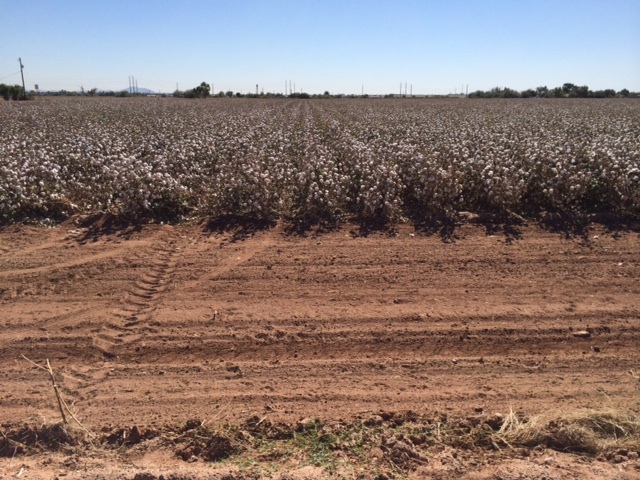 Every year, Arizona farmers plant 100,000 acres or more of cotton in the desert. And every year, the federal government hands out millions of dollars to support those farmers and those crops. This, amid devastating drought, the disappearance of the Colorado River and questions about America’s water future—as well as everyone and everything that depends on it. 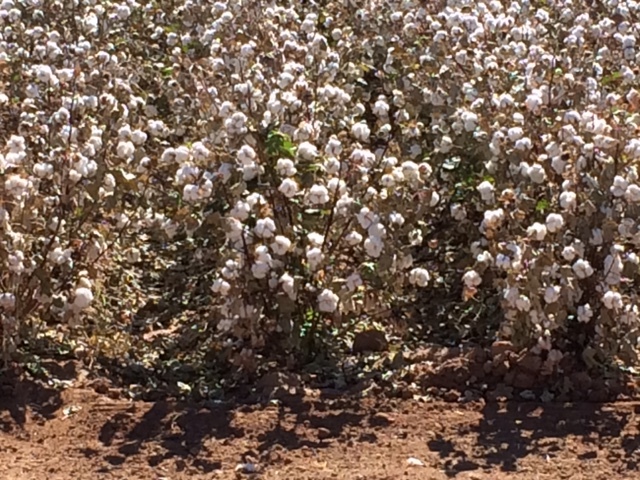 Last fall, we happened to drive by that Arizona cotton. We were en route from Palm Springs, CA, to our home in New Mexico. 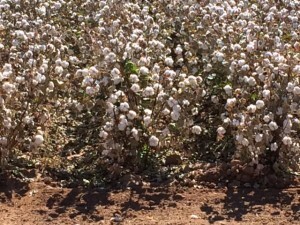 We’d passed through Phoenix, stopped for gas in Scottsdale, then continued on a small highway that sliced right through field after field of cotton. It was a hot, dry day; not a hint of moisture in the air. And there, all around: cotton. As ProPublica reports, it’s a crop that takes six times more water than lettuce and 60 percent more water than wheat. For that, the story notes, the government has paid $1.1 billion in subsidies to Arizona growers in the past 20 years.